AWT provides a large array of earth moving and landfill services at sites across the Eastern United States. These include county & municipal as well as privately owned landfills and historic dump sites. AWT’s staff includes highly experienced remediation & construction managers who have worked for some of the top firms in the industry. In addition, AWT’s field crews & heavy equipment operators have the training & skills to handle the large-scale grading, contours, spreading, compaction & other soil moving factors needed to meet the complex specifications generally associated with this type of work. AWT can install caps constructed of clay, HDPE liners & other materials, as well as building or expanding cells, constructing access roads & installing piping. 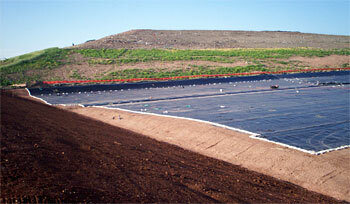 AWT has also performed wetlands mitigation & restoration at a number of landfills & similar sites.